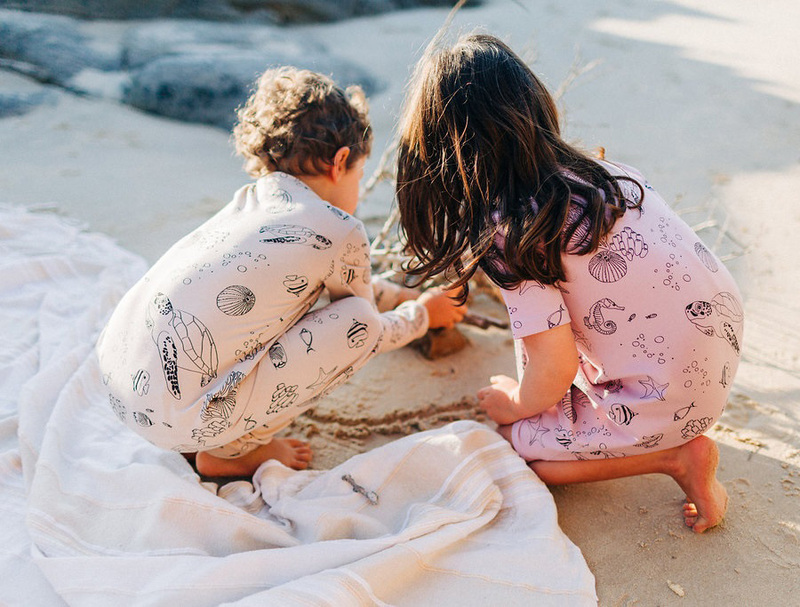 Every year we are blown away by the creative and ca-ute kids stuff that arrives at Finders Keepers – Gather & Moss is no exception, we actually wish most of it came in adult sizes! Basically Kate, you had us at Australian-made Organic Cotton Pyjamas. A wonderful journey, and a beautiful story – we welcome Gather & Moss to Finders Keepers Brisbane. 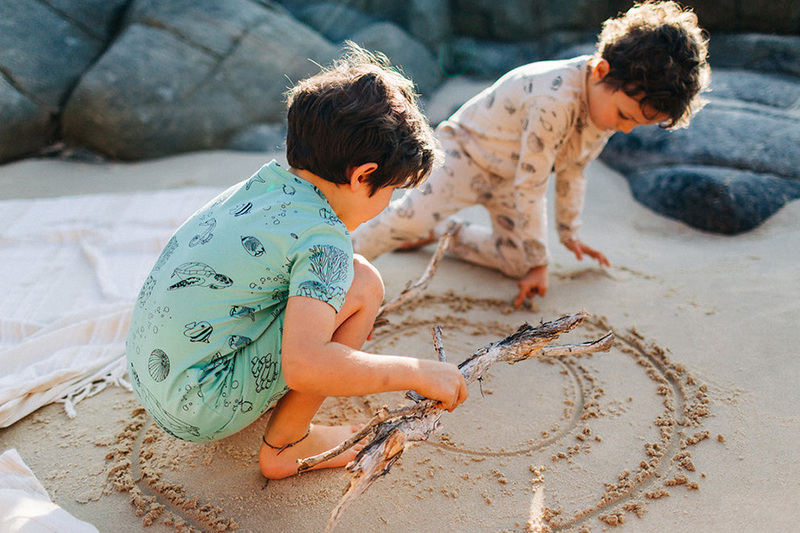 Read on to find out more behind this sea-side sleepwear brand with an ethical backbone and a huge heart. Tell us more about the story behind Gather & Moss? One of the most loved and talked about aspects of our business is that we are 100% designed and made in Australia. It has been a labour of love (and a test of patience) slowly shifting from a one-woman-at-home-making-everything-herself kind of show, to small scale manufacturing, but making locally was a huge part of our brand and not one we were willing to compromise. 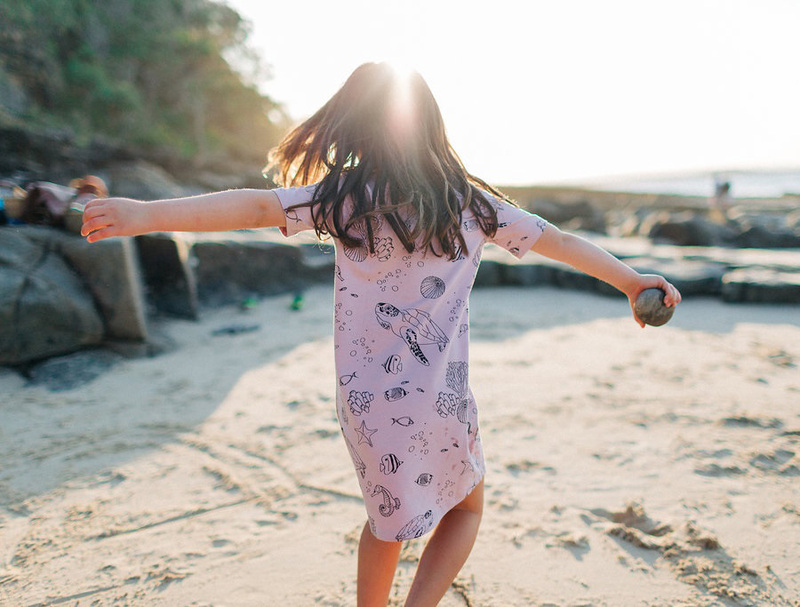 So, after a lot of searching and a fair bit of trial and error, we now work with amazing local fabric knitters, screen printers and makers who turn our patterns, designs and dreams into pyjamas, We run our business day to day from our Noosa Hinterland farm, but these amazing small businesses in different parts of Australia work hard to bring our pjs to life. Tell us about your new pj collection. What was the inspiration behind it? 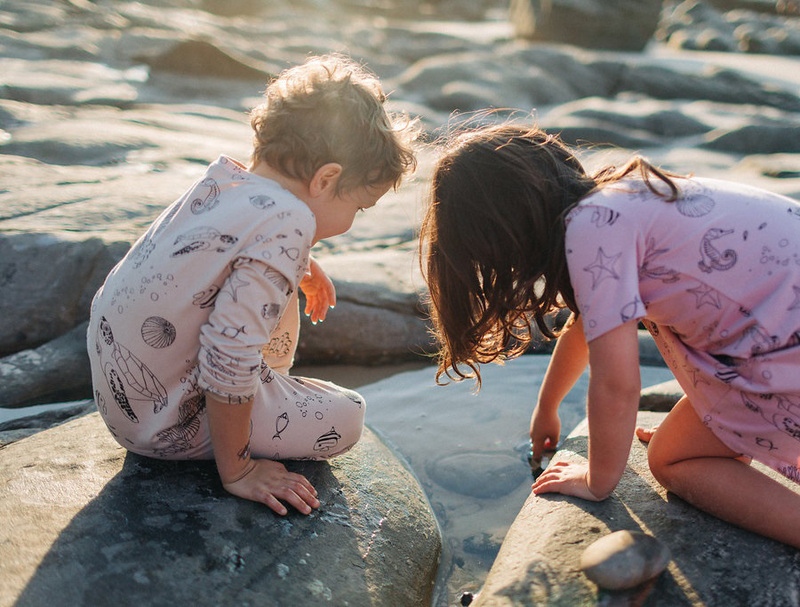 Our Spring/Summer pjs are inspired by the wonder of coral reefs – one of the most threatened ecosystems on our planet. Each of our pj collections is inspired by different parts of our natural world. 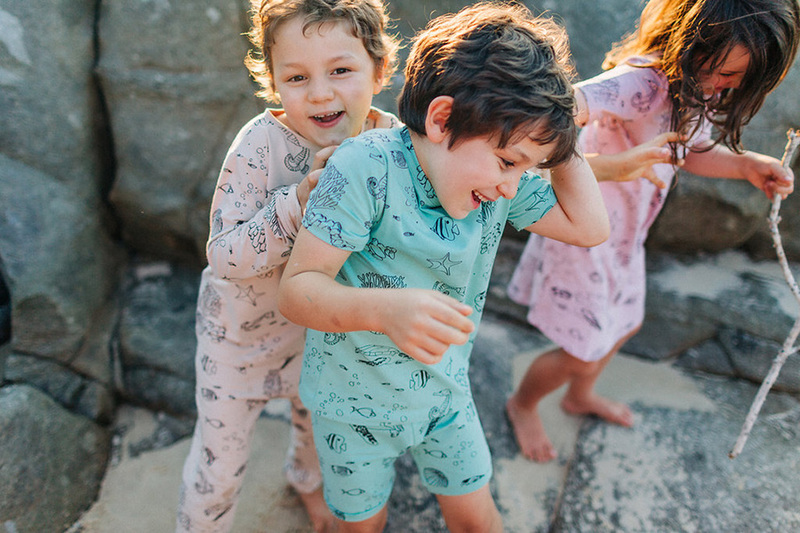 The common theme running through each collection is that every place or creature we put on our pjs is something that kids find fascinating or amazing, exciting or weird, majestic or mystifying. Something they love to talk about, and we hope, love to learn about. Each set of our pjs is accompanied by a set of flash cards that aim to teach our children a bit about the world they are wearing to bed. 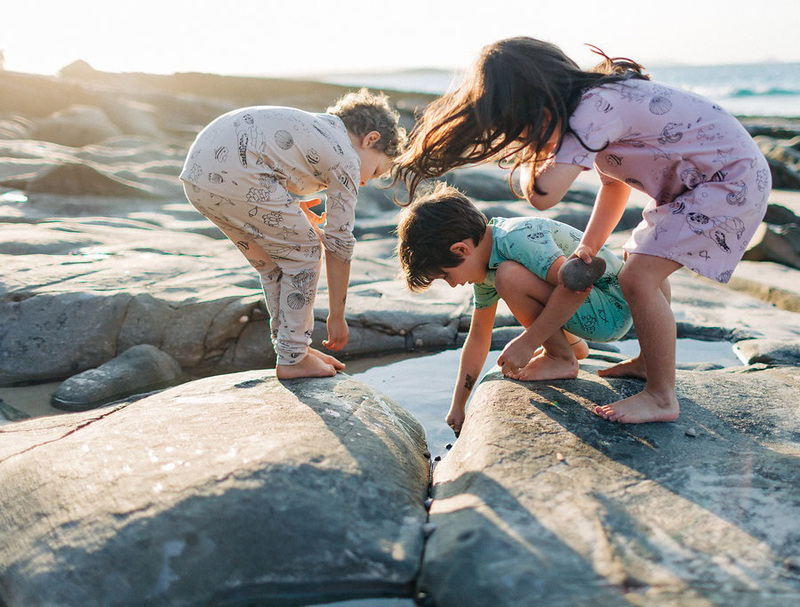 What we want each season is to take something as simple as pyjamas and create a fun unisex design that gets kids and parents talking about this world around us and the role we need to play in looking after it. DO what you can to stand out. Have a beautiful display, smile, demonstrate how you make, tell people your story, show people how you are different. That point of difference is always what people remember, whether it is a story or a memorable display. With so many amazing brands attending Finders Keepers, it is nice to be the one people remember and talk about! Freedom, Flexibility & Ethics ~ I want to create a business that allows us the freedom to make the choices that most suit us as a family rather than the choices that society expects from us. I want to go to the beach on weekdays. I want to take more than 4 weeks holidays a year. I want to be class helper at school. Simple things, but things that as a family, are important to us. I want the flexibility to be able to run our business from anywhere. I want to take our boys around Australia and around the world and I want to run Gather & Moss while we do it. I want to always make decisions that represent our ethics. We think we are already doing pretty well but sustainability is such a moving bar, there are always improvements to be made and I don’t ever want to compromise our values and ethics for the sake of profit.